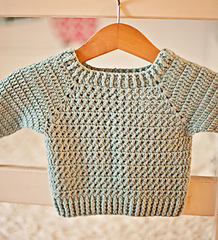 We all know that majority of cute crochet patterns is for girls, and that’s not fair! 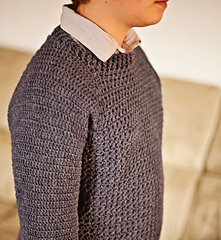 Crochet garments can work great for boys too and this sweater proves it. It is very neat, with great fit, comfortable neckline and fitted sleeves. 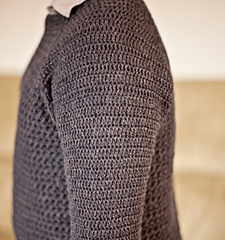 Front and back is textured, while sleeves are worked in double crochet. And it is 100% seamless! 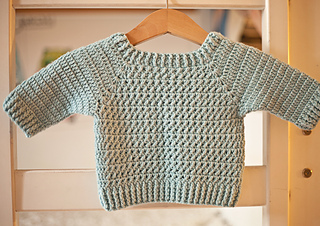 Give it a try and it will easily become your “go to” boy sweater pattern! 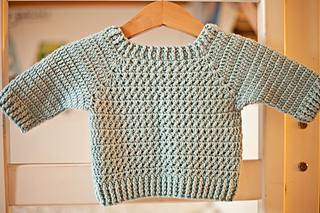 With sport weight yarn – work 20dc and 9rows to measure 4x4in or 10x10cm. Front Post dc and Back Post dc - are explained with photos and step by step description. Price is for the PATTERN only, not the finished product. 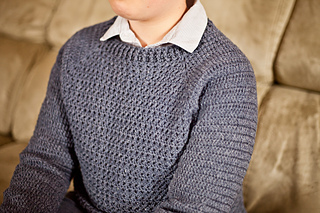 YOU CANNOT RESELL MY PATTERN BUT YOU MAY SELL THE FINISHED ITEM ON ETSY IF YOU LIKE.